I'm a big fan of the recent silk scarf trend. They look so cute paired with a simple shirt or a solid color dress. Scarves have always been one of my favorite fall and winter accessory but I love that silk scarves can work in the spring and summer. 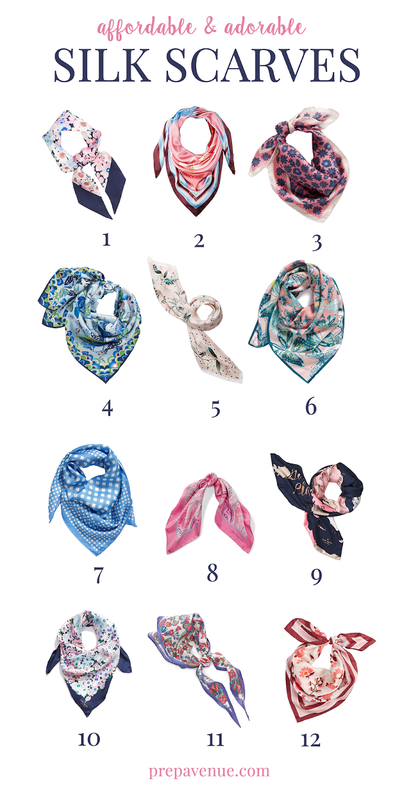 However, my collection of silk scarves is limited to one scarf I got years ago so I thought it would be fun to order one or two to pair with my summer dresses. However, every time I see cute scarf I like on blogger, they're a big designer name with a cost that's way out of my student budget. All of these adorable scarves are under $100 and are just as cute as some of those designer scarves!